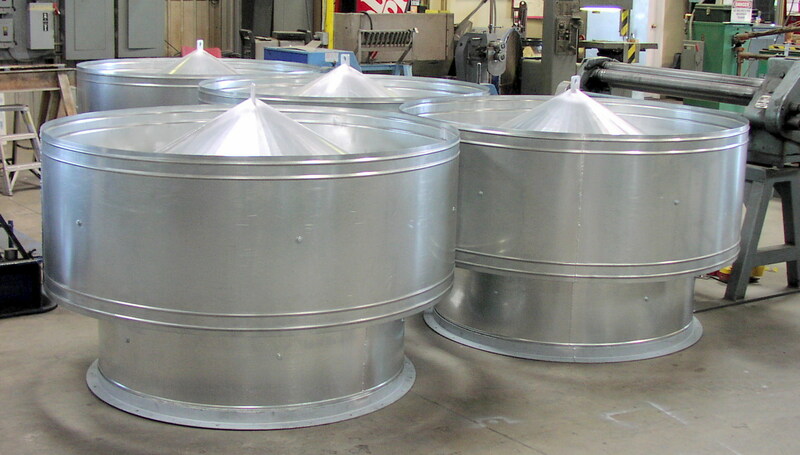 These exhaust stack ventilation covers were constructed in January 2009 for a foam rubber manufacturing company in Magnolia, Arkansas. They act as a rain cap for large exhaust stacks within the company and are constructed of 16 gauge galvanized metal. They measure 4′ in diameter and stand 4′ tall.